Haunted Disneyland! | What's YOUR Ghost Story? The Haunted Mansion itself (which opened mere days after the famed Tate-Manson murders) is home to some non-animatronic spirits, the first of which may have appeared during construction! When working on the Séance Room, one of the construction workers started hearing strange music, at first he believed it was a radio that someone had accidentally walled up, but no disc jockey or commercial breaks ever came on, nor did the music ever stop. The workers solved the problem by adding more speakers to the area and shrugged it off. After completion, a tragic occurrence took place in the Séance Room; the death of a teenager. A young man tried to get a closer look at the mysterious head of “Madame Leota” in her crystal ball, and fell in the gap in between the walkway and the table, 15 feet, to his death. Though there are no reports of people seeing this boy, they do see another, a little boy crying at the exit. The story most people associate with this boy is that a mother (without park permission) spread her son’s ashes in the ride, thinking it was what he would have wanted. However, considering he is seen crying, she may have been wrong! Before one starts feeling too bad for this little boy, one should know that park employees report seeing this same boy in the cameras that watch the boats on Pirates Of The Caribbean, happily journeying through the ride until the end… only to vanish! Other Haunted Mansion ghosts include that of a pilot who crashed in the 1940’s on the land that later became the site of the ride. He is described as holding a cane and seems to be quite at home amongst the ride’s phony spooks! There is also the mysterious “Man in a Tuxedo.” He appears as a black shadow in the exit walkway, and is the reason one employee quit her job at the park! Another well-known park ghost is “Mr. One Way” the reddish haired man that is seen getting onto Space Mountain, but disappears before the ride returns. This is the spirit of a man who died on the ride and still continues to relive his last ride in the theme park. As a matter of fact, all throughout Tomorrowland (where Space Mountain is located) people report a menacing spirit and cold spots. Though this probably isn’t “Mr. One Way,” because he seems to be enjoying his afterlife. Perhaps the most famous Disneyland ghost is that of Walt Disney himself. Walt is seen all over the park, checking in on his employees and seeing how his dream has grown. His first post-mortem visit to the park was almost immediately after his passing. One night after finishing a routine cleaning of Walt’s office, a janitor went to turn of the light, only to have it turned back on after she left the room. 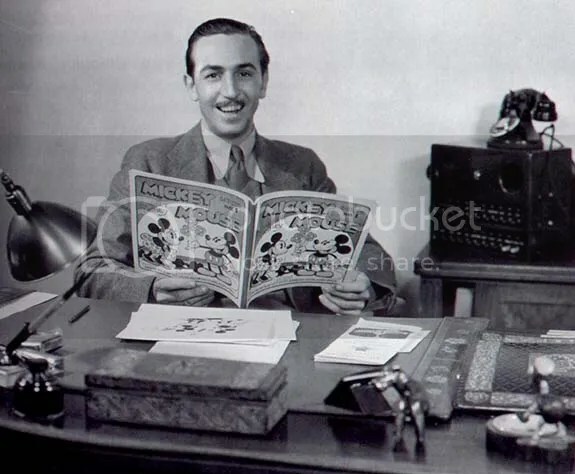 After repeating this event a few more times the employee heard a voice tell her “Remember, I’m still here.” Ever since then, the light in Walt’s office on Main Street has been left on, out of respect for their ever present founder. Just outside of the park is the death site of a teenager who attempted to sneak into the park by walking along the Monorail tracks. When he saw the on-coming train, she attempted to lay flat on the track, allowing the train to move over her. Unfortunately there wasn’t enough clearance and she was killed. People still report seeing a shadowy figure sneaking into the park along the tracks! Scott learned from an employee that a bed is left in the It’s A Small World ride for the spirit of a child that dwells in the ride. Could it be this spirit that turns off and on the lights and moves the figures when Small World is turned off? My personal favorite (after Walt Disney himself) is the “Woman in White.” This woman is seen dressed in early 19th century costume and wanders Main Street at night, she is seen on cameras and sets of motion sensors. Children can even see her during the day. She must have had a very kind heart because even in her afterlife, she talks to lost children and brings them to the “Lost Children” where they can be picked up by their parents! One story we are looking forward to investigating is the of two brothers (or teen friends, depending on the storyteller) who hid on Tom Sawyer’s Island until after the park closed. They tried to sneak across the Rivers of America to play in the park after dark, but one of the boys didn’t know how to swim. When the other boy attempted to help, they both drown in the water. Some people claim that they see these boys trying to get across the water, as well as hearing other long gone children running and playing on the island itself. We look forward to getting back in the park and poking around! Disneyland calls itself “The Happiest Place on Earth” but all theme parks are a joyous place for many people all over the world; it is no wonder so many people return to them again and again, even after death! 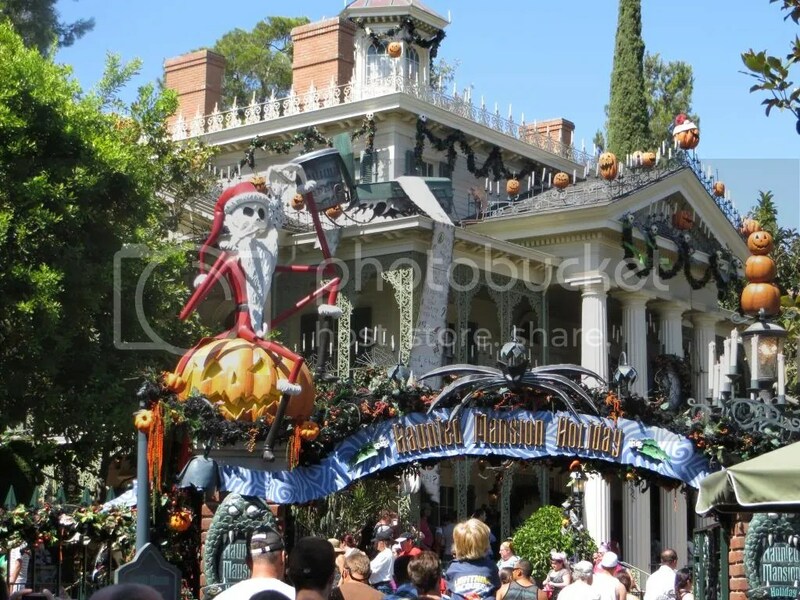 The stories in this blog entry are only scratching the surface of Disneyland haunts, let us know if you have your own Disneyland ghost story or any other theme park haunting LA or otherwise! This entry was posted on Friday, March 1st, 2013 at 1:19 am	and tagged with Disney, Disneyland, ghost, haunted, Haunted Mansion, Manson Murders, paranormal, Paranormal Pixie, Space Mountain, Tate Murders, Tom Sawyer Island, Walt Disney and posted in California, Disneyland, orange county. You can follow any responses to this entry through the RSS 2.0 feed.